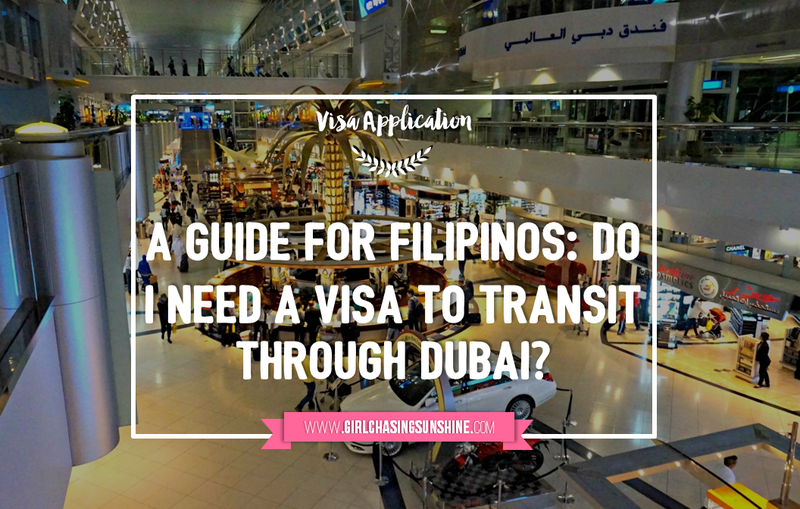 A Guide For Filipinos: Do I Need A Visa To Transit Through Dubai? 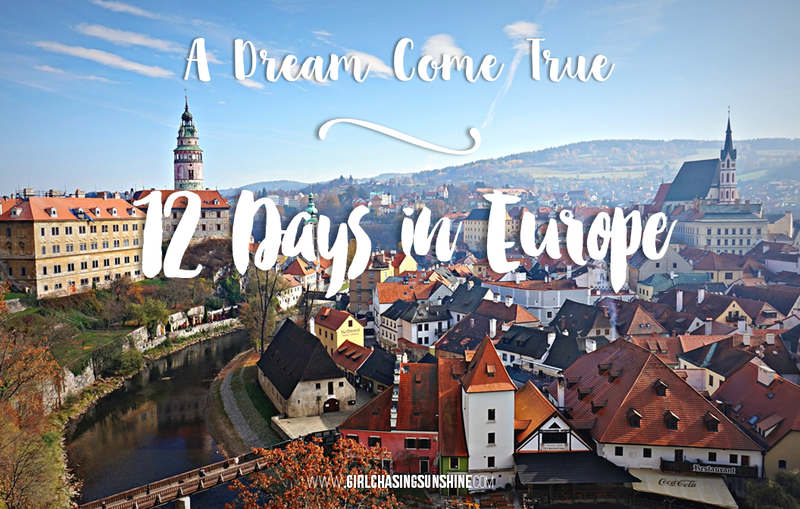 When we scored cheap roundtrip tickets from Manila to Dubai last year, we knew that our journey would not end in the United Arab Emirates—we would continue on to Europe to fulfill the biggest trip of our lives, and so we did. As planned, we flew from Manila to Dubai through Cebu Pacific. From Dubai, our connecting flight to Vienna, Austria was via Ukraine Airlines, with another 2-hour layover in Kiev, Ukraine. Whew! I know what you are thinking. What a complicated flight, right? Anything to make #Europamore happen! "Do we need a visa to transit through Dubai?" For us, we transited smoothly through Dubai WITHOUT a visa. Read on to find out how we did it and see if you’ll be requiring a visa as well for your circumstances. First things first, let’s establish the facts about our trip. I, along with my two travel buddies, hold a Philippine passport. We are Filipino citizens. We flew to Dubai using Cebu Pacific and arrived at around 9:40 PM (Dubai time). Dubai was not our intended final destination as we are going to Vienna, Austria. Our flight to Vienna, Austria via Ukraine Airlines was scheduled the next day, 4:05 AM (Dubai time). So we had a little more than six hours of waiting time between our arrival in Dubai and our departure for Vienna. Fortunately, both flights are on DXB Terminal 1. Since Cebu Pacific and Ukraine Airlines are not connected, our luggage would not be tagged to our final destination (Vienna) upon our check-in for the Manila-Dubai flight. We had to check it in ourselves, retrieve it at the Dubai airport, and check it in again for our Dubai-Vienna flight. Hassle! It would require clearing immigrations and having a Dubai visa. Now, we each only had a hand-carry and we did not have any plans of leaving the airport. Upon arrival at Dubai, we ignored the arrival signs and followed the transit (transfer desks) signs. The trail was easy to follow. In less than 8 minutes, we were able to find Transfer Desk C where we checked in for our Dubai-Vienna flight. Then, we had time to catch some snooze and roam around the airport. Easy peasy! In summary, you won’t need a visa if you are not leaving the transit area, you are not retrieving any luggage and thus, would not be clearing with immigration. Save yourself some precious time and money, travel light. Lucky you, you can still transit without a visa but be warned, it would either cost you a headache as painful as a jet lag or a portion of your shopping money. You can approach the transfer desk, get your boarding pass, ask them to check in your luggage for you and pray hard that it would make it to your final destination. Warning: this is risky. Or you can pay for convenience. Marhaba Services offers a Baggage Transfer Service where they basically assist you in transferring your baggage between terminals or within the same terminal at the airport. They can guarantee speedy clearance through transfer desk check-in formalities; give you ramp transfer via shuttle services, if necessary; and most importantly, since you paid a premium, you are assured that your baggage will make it to the trip with you. The rate is AED 300. When we inquired in October 2015, we were quoted with AED 325 for six pieces of luggage for three passengers. For inquiries, contact them through marhaba@marhabaservices.com or call +971 4 389 89 89. Luckier you if you have connecting flights on a single airline or reputable partners, such as Qantas, and Emirates, not only will they tag your baggage to your final destination upon initial check-in but they can also assist you if you do need to obtain a Dubai visa (subject to immigration approval). Contact the airlines for more details. If you insist on getting a transit visa just to be sure or you just want it, you can do so. You can be eligible for a 96-hour transit visa if you are stopping at the Dubai International Airport for a minimum of 8 hours. Note that you will have to show a valid onward ticket, as well as your passport and other travel documents that must be valid for at least three months. The two trips should also be to different destinations and a hotel booking is required for anyone who wants to get a transit visa. Marhaba Services also provides their CityStop or Transit Visa package. Rate starts from AED 450 (24hrs with 03 star single room with complimentary hotel pickup/drop-off, subject to availability), with an additional charge of AED220 for visa processing. You may approach the Marhaba Arrivals Desk just before Passport Control if you want to avail this service. Take note that the final decision on your transit visa application is still up to the discretion of the immigration officer. If you are a Filipino travelling with just a stopover at Dubai International Airport and you do not have any intention to get past the immigration control to retrieve a luggage or go outside the terminal building, you will not need any visa because technically, you are not entering the United Arab Emirates. The process will be much easier if you decide to only have a hand-carry. Travel light, if you can. If you insist on checking in a luggage, you won’t need to go through immigration (and thus, will not leave a visa), if your airline is tagging your baggage to your final destination. This will only materialized if your connecting flights are on the same airline. If you still are checking in a luggage despite having different airlines on both of your flights, you will need to use a baggage transfer service to retrieve and check in your baggage to your next destination so you won’t need a visa. Obtaining a 96-hour transit visa on arrival is possible but in the end, everything is up to the approval of immigration. Hi, there! What if you need to transfer Terminals? I fly CebuPac to Dubai (T1) and FlyDubai (T2, which is a few kilometers away) to Turkey. Does Transfer Desk E cover that? You only mentioned those who transfer from T2 but not the ones going to T2. Thank you very much! 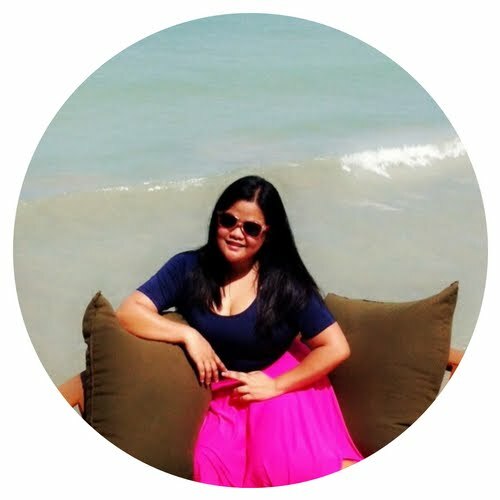 Hi Ninay, how did you passed the immigration or boarded to cebu pac without the dubai visa? thank you! Same question how did IO let you pass without dubai visa? First of all, I am writing this email from turkey and want to inform you about a big cheating of cebu pacific airlines. I am working as lawyer both in turkey and Philippines. Let me explain all deception case. I buyed ticket for my wife from manila to kuwait for transit from cebu pacific. We also had ticket from kuwait to turkey 4 hours after arriving kuwait. Me and my filipino friends always use kuwaıt aırport for transit and we sure that theres no transıt vısa ın kuwaıt. Somehow, Cebu pacific rejected us to fly from manila to kuwaıt and insisted on we need transit visa for kuwait. I communicated with kuwait embassy and they informed me that no need transit visa for kuwait to all country citizens in world. I searched internet and saw many victims have same problem and they dont even give us refund. I am completely sure now that cebu pacific sell many more tıckets than plane capacıty and reject whoever they want without any logical reason. I just want you to be aware of this cheating and warn this airlines checkin counter. Anyway Nowadays I am collecting sufficient documents to have court to this company. Whenever ı back Manila, I will be having court and defence my rights in the name of all customers. Thanks for this blog! Just want to ask the reference of this information regarding transit without visa? Just want to prepare all necessary documents just in case CEB PAC will insist that I should have a transit Visa even with on-ward flight tickets to Egypt. Thank you! Hi Kariza! Did you successfully done the transiting without any problem with Cebu pacific or any immigration officers? Hi! Not yet! ETD will be next year. Hi kabukiO23, Did you get transit visa for dubai going to armenia? Hi Guys! I didnt get transit visa for my trip to Istanbul from Dbx. At cebpac check-in counter, I just told them na transit lang ako, pinakita ko lang tix ko to Istanbul from Dubai. Then that’s it! My onward flight was at Terminal 2 so I needed to hop on a bus for free to get to Terminal 2. This was so helpful! My wallet almost had a heart attack. Same situation but I left Terminal 1 and transferred to Terminal 2 in Dubai since I went to Amsterdam through Istanbul. I'm glad I didn't need to get a transit Visa. Just an update, you can still have a check-in baggage. You just need to present your proof to the counter who will give you a boarding pass in Dubai. You will risk losing it though lol. My name is Ninay a.ka. Girl Chasing Sunshine. Small-town girl from the Philippines. Proud probinsyana. Pinay wanderer. Bubbly to the bones. Tala Queen. Endless dreamer. In 2006, I left my hometown in Zambales to study in Manila. I’ve been independent since then—I went on to take a full-time job whilst traveling locally and abroad every now and then. This 2018, I’m taking another leap of faith. 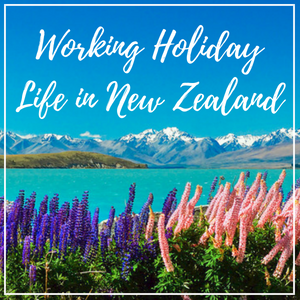 I found the crazy courage to do something outrageous and epic: I quit my job and left everything comfortable behind to travel and live in New Zealand on a one-year working holiday visa! Follow my journey as I travel around and live in New Zealand for a year! Did you purchase a timeshare in the Philippines or abroad that you’re no longer using? Why not sell timeshare on the secondary resale market for extra cash? Licensed timeshare brokers can help you sell Disney timeshare in addition to any other timeshare brand.